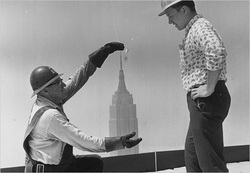 This is a website for fifty year participant investors in Empire State Building Associates L.L.C. owner of the Empire State Building (ESB). ​01/19/19 Empirestatebuildinginvestors.com visitor traffic to date. 09/29/18 SEC's lawyer, U.S. Department of Justice Attorney, signs agreement to pay Empire State Building Investors website for illegally withholding ESRT/Malkin SEC Enforcement Investigation documents. Freedom of Information (FOIA) cases rarely result in legal fees being paid by government to requesters. 07/17/18 SEC offers to pay legal fees to Empire State Building Investors website operator. Federal Courts rule SEC unlawfully withheld ESRT/Malkin Holdings records sought through Freedom of Information Act (FOIA). Judges in two FOIA lawsuit cases, one in San Diego, another in Washington DC, ordered SEC to provide withheld documents concerning sale of Empire State Building to ESRT REIT. ​05/06/18 Washington D.C. Federal Judge agrees with SEC. Empire State Building Investors "fear that ESRT management would retaliate against them" is supported by the evidence. from SEC lawyer in charge of ESRT IPO review. none of which have been publicly reported as of yet. 12/18/17 U.S. Attorney tells San Diego Federal Judge it has turned over additional SEC Enforcement investigation records of ESRT/Malkin Holdings. 11/05/17 U.S. Department of Justice on Washington D.C. Federal Court ruling in Empire State Building case. "The court finds that defendant's "conclusion ignores the 'public interest in knowing who may be exerting influence on [SEC] officials sufficient to convince them to' approve or disapprove a transaction[,]" "the public interest in knowing whether the SEC gives 'greater weight to the comments submitted by' some complainants than others[,]" and "the public interest in understanding whether particular complaints, which were credited or rejected by the SEC, were based on personal knowledge, financial interests, or other factors." ​9/27/17 San Diego Federal Judge orders SEC to release ESRT/Malkin Holdings Empire State Building SEC Enforcement Investigation records. SEC is given three days to comply with Judge's order. Ruling rejects both SEC Senior Attorney Cozza and ESRT/Malkin Holdings General Council Keltner affidavits filed in attempt to keep investigation records hidden from public view. "The Court agrees that the Keltner declarations lack authentication." "Moreover, the Court has reviewed the Keltner declarations and agrees that they assert unfounded factual and legal conclusions." 07/21/17 SEC has recording of Malkin Holdings executive lying to ESBA investor about how much they will receive in sale of Empire State Building to ESRT REIT. "...your existing $35,000 interest, uh, in Empire State Building Associates, uh, actually, technically $33,750, uh, would be converted into over $1 million of stock listed on, uh, the exchange, uh, and New York Stock Exchange..."
05/16/17 Malkin Holdings Executive threatened Empire State Building investor during SEC REIT review process. SEC Attorney handwritten note of interview with threatened investor made public under Washington D.C. Federal Court order. is a list of people to sue if this REIT doesn't happen." Information Act Federal Court order. Click here for copy of original SEC Attorney handwritten note. Holdings managers, their lawyers, and investors during sale of ESB building to ESRT REIT. Case DescriptionRichard Edelman, who operates a website providing information to investors in the Empire State Building, submitted six FOIA requests to the Securities and Exchange Commission concerning investments related to the Empire State Building. After the agency failed to respond to any of his requests within the statutory time limit, Edelman appealed the denial of his requests. In response to two of his appeals, the agency issued a Glomar response, neither confirming nor denying the existence of records, under Exemption 7(A) (ongoing investigation). Edelman finally filed suit. 04/03/17 SEC offers to turn over only about 50% of Empire State Building investor consumer complaints, without redaction, in spite of Washington DC Federal Judge order to release all. SEC to file in Federal Court a document called an Vaughn index listing investor consumer complaints withheld with explanation in each case why they are failing to follow judge's order to disclose. 03/20/17 Washington DC Federal Judge issues order in SEC Empire State Building Freedom of Information lawsuit. SEC given March 27, 2017 deadline to comply with order. "The SEC hinges its argument on the mistaken premise that publicly releasing the names of the complainants “would not shed light on how the government operates.” Dkt. 26 at 11. That conclusion ignores the “public interest in knowing who may be exerting influence on [SEC] officials sufficient to convince them to” approve or disapprove a transaction. People for the Am. Way Found., 503 F. Supp. 2d at 306; but see id. at 305–06 (collecting cases arriving at different conclusions). It ignores the public interest in knowing whether the SEC gives “greater weight to the comments submitted by” some complainants than others. Alliance for Wild Rockies v. Dep’t of Interior, 53 F. Supp. 2d 32, 37 (D.D.C. 1999). And it ignores the public interest in understanding whether particular complaints, which were credited or rejected by the SEC, were based on personal knowledge, financial interests, or other factors." Attached to Affidavit is SEC Internal Memo concerning ESRT/Malkin Holdings obtained in DC FOIA winning case against SEC. ​03/01/17 San Diego Federal Judge in ESRT/Malkin Holdings SEC FOIA Lawsuit receives client court filing from former SEC Enforcement attorney. "how could the SEC generate only a handful of records in an investigation of fraud claims by hundreds of elderly investors involving tens of thousands of records generated over 18 months?" "requests the Court set the depositions of FOIA Specialist Luetkenhaus and Branch Chief McInerney"
March 13, 2017 San Diego Federal Court hearing scheduled. U.S. Attorney representing SEC to appear. 2/21/17 SEC admits Malkin Holdings "scripts were erroneously withheld as confidential"
US Attorney, representing SEC, communicates error hours prior to submitting final brief to San Diego Federal Court. SEC had relied on Malkin Holdings claims of confidentiality in withholding documents. 2/21/17 SEC's final brief due in San Diego Federal Court today. ​ of Empire State Realty Trust/Malkin Holdings. "February 21,2017: Defendant shall file its opposition to Plaintiffs motion for summary judgment." 2/21/17 NY Arbitration Panel requests removal of information reporting on testimony in New York Arbitration Trial. "3. The federal securities claims that Plaintiffs assert in this complaint are subject to arbitration. Plaintiffs are currently pursuing these claims against the Defendants in arbitration, which is pending before the American Arbitration Association. The Defendants have filed an answer and counterclaims in the pending arbitration proceeding"
Withheld SEC Investigation and ESRT/Malkin Holdings documents sought for public disclosure. In surprise, SEC decides not to file scheduled reply in support of its own motion for summary judgment. January 24,2017: Defendant shall file its motion for summary judgment as to (1) the 1,442 pages of records that Defendant previously processed under FOIA, and (2) the 97-page index which was provided to the SEC by Malkin Holdings. February 7,2017: Plaintiff shall file his opposition to Defendant’s summary judgment motion, and, if desired, file his own motion for summary judgment. February 14,2017: Defendant shall file its reply in support of its motion for summary judgment. February 21,2017: Defendant shall file its opposition to Plaintiffs motion for summary judgment. February 28,2017: Plaintiff shall file his reply brief in support of his motion for summary judgment. The hearing on both of the parties’ motions for summary judgment, if any is scheduled for March 13,2017 at 10:30 a.m.
​2/9/17 Declaration in SEC San Diego Freedom of Information ESB Federal Lawsuit reveals multiple SEC investigations of ESRT/Malkin Holdings. #"48 Handwritten notes To do list for multiple Enforcement investigations reflecting attorney"
​11/15/16 SEC withholds ESBA investors complaints from D.C. Federal Court. interviews with SEC lawyers were not disclosed as ordered by court. Dozens more ESBA investors ready to testify in Federal Court. Apparent use of Department of Justice Meese FOIA exclusion to withhold investor complaints while under a Federal Judge's order to produce them is extremely rare. Guidelines on use, click here. This follows the SEC's earlier unexplained dropping of FOIA Glomar exemption "agency neither confirms nor denies existence of records." 11/03/16 SEC agrees to San Diego Federal Judge assuming control of Malkin Holdings Empire State Building FOIA case. List of documents in Malkin Holdings Enforcement records to be publicly filed with San Diego Federal Court. Malkin Holdings lawyers threatened SEC with reverse-FOIA lawsuit in attempt to stop release of records. ​10/28/16 SEC faces San Diego Federal Court takeover of Malkin Holdings FOIA case. 10/1/16 Malkin Holdings lose San Diego Federal Court SEC FOIA case ruling. file appeal with SEC General Council in attempt to delay release. 7/25/16 Eight ESBA Investors tell D.C. Federal Judge Moss their interviews with SEC lawyers are missing from documents his court ordered SEC to make public under Freedom of Information Act (FOIA). allegations of fraud and breaches of fiduciary duty by ESBA management. about management misconduct during REIT process. lost Freedom of Information Lawsuit. silence ESBA investors. The SEC refused. investors who voted no "need to know share will be worth only $100"
SEC letter to Malkin Holdings concerning ESBA vote. "I write to confirm our conversation of February 13, 2013, in which we advised you that we are conducting an inquiry into the matter identified above and requested that your client, Malkin Holdings LLC (“Malkin”), together with any related entities and agents, voluntarily produce documents relevant to our inquiry." "This inquiry is non-public and should not be construed as an indication by the Commission or its staff that any violation of law has occurred, or as an adverse reflection upon any person, entity, or security." ESB investors consumer complaint records. Huge win for former Empire State Building owners. who alleged and documented wrongdoing by ESB managers. ESRT/Malkin Holdings documents withheld by SEC. ​COMMENTS: The U.S. Attorney in San Diego has written that pursuant to an SEC FOIA request for any investigation documents, files, or material concerning Empire State Realty Trust, Inc "approximately 350 pages will be withheld as confidential pursuant to 5 U.S.C. § 552(b)(4)"
I seek all emails, letters, documents, or material of any kind that were submitted to the SEC to substantiate the confidential treatment of those 350 pages. I also seek all SEC emails, letters, documents, or material of any kind, concerning confidential treatment of those 350 pages." New FOIA law will expand public disclosure of SEC documents in ESRT/Malkin Holdings Investigation files. New York office Enforcement files. to provide these documents under Freedom of Information Act. according to U.S. Attorney representing SEC in FOIA Lawsuit. "During the administrative appeal, the SEC identified 44,545 pages of responsive documents from its New York office that are potentially responsive to this FOIA request. The SEC’s FOIA office is now in the process of reviewing and processing all of those pages. The company from which the SEC obtained the documents has requested confidential treatment, and it appears that approximately 350 pages will be withheld as confidential pursuant to 5 U.S.C. § 552(b)(4). The SEC has proposed to produce these additional documents to Mr. Edelman on a rolling basis, with the first production at the end of March or beginning of April 2016. " MINUTE ORDER: The Declaration of Patti Dennis attached as an exhibit to the SEC's motion for summary judgment [15-2] omits page two. The SEC is hereby directed to file a complete copy of this declaration on or before February 15, 2016. Signed by Judge Randolph D. Moss on 2/10/2016. ​2/6/16 Malkin Holdings, Peter Malkin and Tony Malkin lose counterclaim ruling in Empire State Building Arbitration case. ​1/16/16 SEC ESRT/Malkin Holdings investigation records would be published on SEC.gov website under FOIA Act revision. "there was not an adequate review of the responsive documents identified, there are other potentially responsive documents not reviewed by the FOIA Office, and that some responsive documents are subject to confidential treatment requests which must be considered by the FOIA Office before it can determine whether those documents may properly be released." require release of withheld and redacted SEC Enforcement records concerning Investigation in the matter of Empire State Realty Trust, Inc.
9/28/15 Released: SEC Enforcement records concerning Investigation in the matter Empire State Realty Trust, Inc. Publication pending ruling on documents withheld and redacted by SEC. 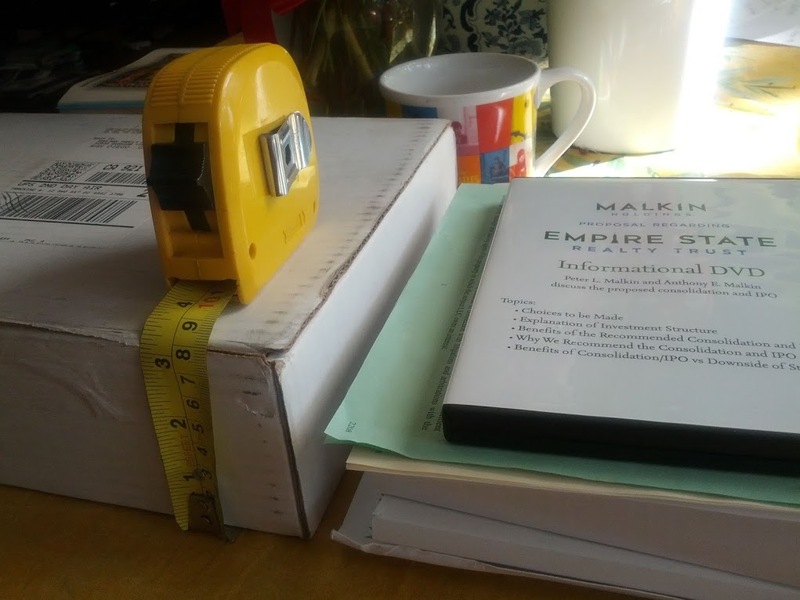 for SEC Empire State Building documents. 3/11/15 Confirmed by SEC: Enforcement investigation concerning Empire State Building and Empire State Realty Trust, Inc.
3/9/15 SEC response to FOIA lawsuit due 3/17/15 in U.S. District Court, Washington DC Federal Judge to rule after April 17 plaintiff reply. 3/2/15 Malkin Holdings lawyers ask SEC for ESB records provided to others under the Freedom of Information Act (FOIA). records provided to Richard Edelman relating to Empire State Building. Lawsuit filing seeking documents that shed light on the SEC investigation in the matter of Empire State Realty Trust, File No MNY-08894. SEC internal Memo: "Throughout the course of our nearly two-year review of these transactions, we received hundreds of complaints and phone calls from many investors." 7/7/14: NY Supreme Court oral arguments in $600 million lawsuit against ESB managers Malkin Holdings. 6/18/14: SEC Glomar Response for Empire State Realty Trust-first since 2010.
opposition brief to file any reply. " 1/16/14: Third New Lawsuit filed against Malkin Holdings, managers of the Empire State Building. Asking over $500 Millon for breach of fiduciary duty. you had a fiduciary duty to the Participants"
Reported on CNBC, Fox Business and over 2,000 news outlets worldwide. 6/30/13 Battle For Empire State Building Heats Up: Third Unsolicited Offer Now Received. 6/25/13 Rubin Schron Makes Unsolicited Offer To Buy Empire State Building For $2 billion. 6/19/13 Businessweek: Empire State Building gets $2 Billion Offer As Alternative to IPO. ".....there are some pretty big risks, including the possibility that the whole public offering could be undone." "But a backlog of IPOs, including the anticipated listing of the Empire State Building Reit and the New World deal, are facing weaker market conditions." "Any decision on their appeal itself could take many months. The supervisor cannot predict the timing or outcome of an appeal process or any related relief, if such appeal were successful. If the court’s decision were reversed by the appellate court, there is a risk that it could have a material adverse effect on the company." 3/14/13 Ex-Wien Partner second letter to ESBA Investors urging No Vote to REIT. 3/03/13 Ex-Wien Partner writes to owners 'Vote No to REIT'. to issue an IPO for the city's most iconic building. Can he pull it off? Bloomberg TV: ESB Investors against IPO "small investors ain't so dumb after-all"
Empire State Building Associates, New York, today filed a registration statement seeking registration of $39,000,000 Participations in General Partnership Interests in Associates, a partnership consisting of Lawrence A. Wien, Henry W. Klein and Peter L. Malkin. The Participations will be offered for public sale in $10,000 units.